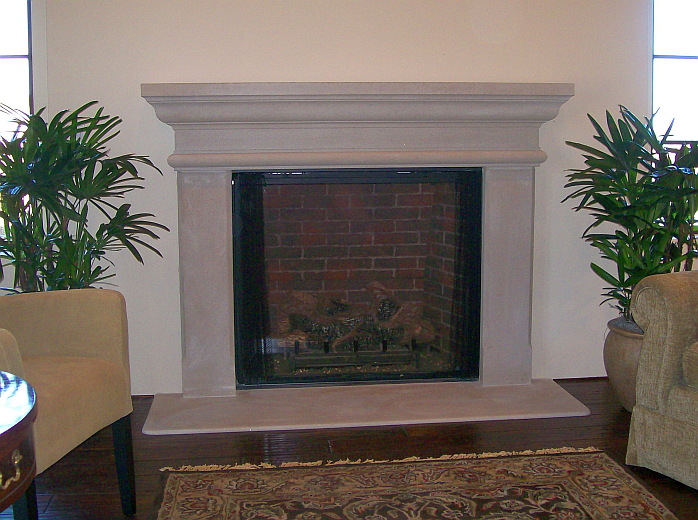 Now that you have chosen your beautiful new fireplace, select a new mantle to complete your design. Pacific Energy carries a wide assortment of mantles from stone to marble to hardwood to give your new hearth product the perfect finishing touch. Fires of Tradition is a Canadian Mantle Company specializing in stone, wood, or cast mantles that fit Valor Fireplaces to a tee! Wood mantles in both rebate and cabinet styles to fit the Portrait Series (The Barrington fits either the Portrait or Horizon Series), Cast Iron for the Portrait Series, Jurastone Mantles and Surrounds for the Portrait, Horizon and Ventana Series Fireplaces, and the Cheladon Marble Rebate Mantle for the Portrait Windsor Arch Front fireplaces provide a well rounded selection from which to choose for your Valor fireplace. Black Granite hearths, matching filler pieces, and tile insets are also available to complete the look of your mantle. Clark Baird started 101 Cast Stone in the summer of 2006. After moving to Atascadero, he realized the need for a high-end cast stone facility on the central coast. Today, 101 Cast Stone is one of the premier designers of cast stone products in California. With his staff of over 15 full and part-time employees. 101 Cast Stone continues to work on a wide array of projects for developers, building contractors and residential customers.